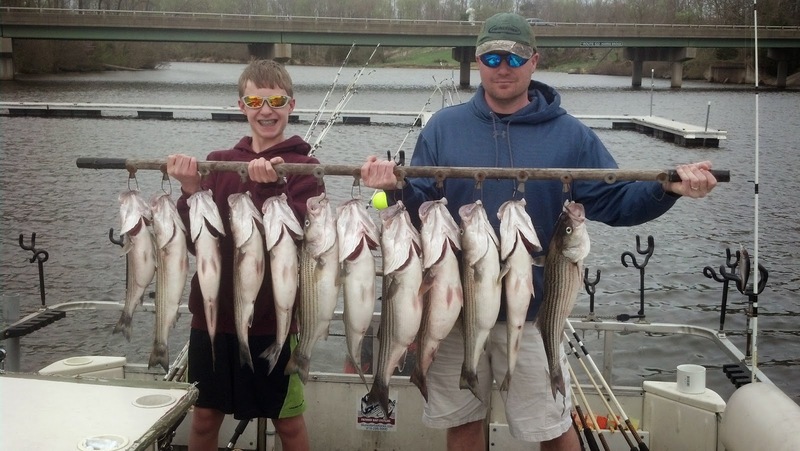 Today guide DP took Scott and his son out fishing for Stripers. The wind was hateful today, at times there were gusts up to 40 MPH. DP was challenged to keep the boat in the zone but obviously the fish bit today and the guys ended up with a great stringer of fish. Great job guys!